During the 1966 NCTA Convention held at the Americana Hotel, in Miami Beach, Florida, 21 of our early entrepreneurs of the Cable TV industry met to become the first Cable Pioneers’ class. Most of those Pioneers are responsible for building the systems and MSOs that would become the nucleus of today’s modern cable broadband industry. At that first meeting, Mr. Stanley Searle, who helped propose the formation of the group, presented each member with a “Pioneer” plaque. From the original 21, membership has grown to almost 700. For over two decades, the Cable Pioneers have been responsible for establishing and funding the Cable Center. Originally located at Penn State, the Cable Center was moved to the campus of Denver University in the 1990s. Following the Center’s grand opening, the Cable Pioneers initiated a further recognition of exemplary service to the cable TV industry through The “Cable Hall of Fame” program. Meet the 21 people who founded the Cable TV Pioneers. Served in the Radio Intelligence Division of the Army Security Agency in Germany from 1945-46 and managed his father’s retail store for several years in Weston, West Virginia. 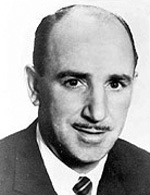 Adler entered the cable industry in February 1953 when he and two partners established the Weston Television Cable Corp. to provide television reception in Lewis County, West Virginia. He was also a part owner of cable systems in Charleston, Summersville, Gassaway and Sutton in West Virginia and Covington and Clifton Forge in Virginia. Adler was a Paul Harris Fellow of Rotary International and a devoted member of the Weston Rotary for almost 50 years. He was a longtime member of the Stonewall Jackson Hospital Board of Directors, the District Advisory Committee for United Bank, and served on the Stonewall Jackson Lake Advisory Committee. The former deputy attorney general for Pennsylvania had come to New York for one of his favorite pursuits: continuing education. The Practicing Law Institute sessions had been fine, but now, back at his hotel, he’d settled in for a little TV only to find the set in his room didn’t work. Barco called the hotel’s management and ended up getting a primer on its master antenna system. “He was fascinated,” recalls daughter and fellow attorney Yolanda, who’d accompanied her father on the trip to do a little shopping. “He wondered if the same kind of system could bring TV to a town like Meadville.” Like many towns in Pennsylvania, Meadville, where the Barco’s lived, was surrounded by mountains that obstructed the TV signals reaching in from nearby cities. Barco, who was then the solicitor of the Meadville School District, went home and pursued his idea for establishing a cable television system. Clements was a renowned cable consulting engineer who started his 30-year career by building a system in Waterville, Wash., in 1950. He started the MSO TeleVue Systems in 1952 in Pleasanton, California and served as its president; TeleVue was sold to CBS in 1968. His consulting engineer activity also began in 1952, and he served both cable operators and manufacturers when the industry was just starting to grow, both here and abroad. Clements was also vice president of Sterling Information Systems, a New York City closed circuit operation serving hotels. 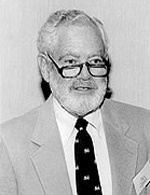 In 1970 Clements joined TCI as director of corporate development, and he retired from TCI in 1980. He was very active in NCTA and regional cable associations regarding both technical and political matters. In 1968 CATV Weekly estimated that 75% of all the cable subscribers in the nation received their connections through companies that had relied on Clements for engineering expertise. A Brooklyn boy who contemplated a career in the Navy ended up in a small town in Texas. A chance encounter and a phone call to Jerrold Electronics got Conroy started as a franchisee in Uvalde, Texas, which was perfect for Conroy who didn’t like cold winters. Later, Conroy was part of several other cable systems across the country. 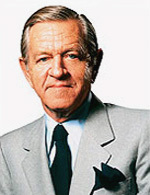 An active venture capitalist and entrepreneur for more thirty years, Crosby recognized early on the significance of cable television. Involved in the cable industry since its infancy, Crosby organized one of the first private entities to receive a license from the Federal Communications Commission to transmit television signals via microwave in 1954. He is the founder and Chairman of The Rust Group, a private investment partnership headquartered in Austin, Texas. Daniels first saw a television set in Denver, Colorado, in 1952. A Navy veteran and an oil insurance salesman, he found two young engineers, Gene and Richard Schneider, raised some money from oil executives, and built a cable system in Casper, Wyoming, to bring the Denver television signals to that town. The system was one of the first in the west and the first anywhere to use microwave to transmit broadcast signals over long distances to cable systems. Flinn came to the cable industry like many of the cable pioneers, through an appliance store business. He was a salesman for Texas Power and Light and a World War II vet prior to selling electrical appliances. Flinn bought the Tyler cable system from Merle Frasier and it became the biggest system in Texas by about 1960 and one of the largest in the country. 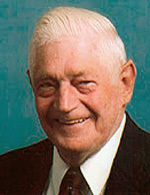 Flinn served as Chairman of the NCTA from 1961 to 1963. In 1966, GenCoE was formed with Flinn, Gene Schneider, Ben Conroy, Jack Crosby, and others. This company was the precursor to United Cable, later UnitedGlobalCom. 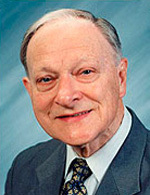 Fred Lieberman worked for Milton Shapp in the early days of Jerrold as a sales engineer in Pennsylvania and Ohio, and was transferred to Dallas in 1955 to work the Southeast region. 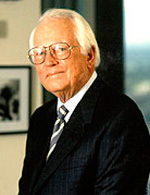 Leaving Jerrold in the late 1950s, he formed a partnership with Jack Crosby (an association that would last over 40 years) and founded Telesystems Service Corporation. They built and operated cable systems throughout the eastern half of the U.S., including a large system in South Philadelphia and started a cable company in Switzerland, Telekable Swiss. By 1964, Telesystems was one of the larger MSOs in the country, serving 32 communities. 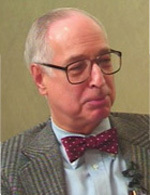 Lieberman became a partner in GenCoE, the precursor to United Cable Television, with Crosby and several other cable pioneers and he was also involved with microwave and satellite transmission companies. In 1971 Telesystems merged with Communications Properties Inc. to become a top-ten MSO. Lieberman was an anonymous donor to many charities; the full extent of his contributions not revealed until his death in 2008. Kozminski, who was also known as Albin J. K. Malin, was the operator of a radio station in Rochester, New Hampshire, when he entered the cable business in 1949, building one of the first systems in New England in Laconia, N.H. He was a director of the NCTA from its earliest days and was a key influence on its direction and policies in the 1950s. 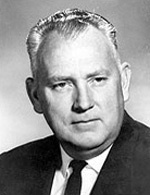 Kozminski was the NCTA president in 1959-1960 and involved in the controversy surrounding the first attempt to regulate cable in 1960, S.B. 2653, sponsored by U.S. Senator John Pastore (D-R.I.). 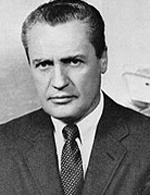 Kozminski remained active in the industry until 1965. The Malarkey family owned a number of music and appliance stores throughout northeastern Pennsylvania. During a trip to New York, Martin Malarkey was staying at the Waldorf Astoria, where he checked into the room and found it had a new RCA television receiver. Malarkey noticed that the wire coming out of the back of the set was a round, black, vinyl-covered wire, whereas he had been used to seeing a flat twin lead coming out of the back of the set. His curiosity was “piqued,” so he called the front desk to get an explanation. An engineer explained the master antenna concept and took Malarkey to the top of the hotel for a closer look at the system, which began his career in cable. He retired from the industry in 1960 at age 41, but did not stay out of the business for long. He formed Malarkey-Taylor Associates with Archer Taylor, a cable television consulting business. Malarkey also played a significant role in building the NCTA into the association it is today. 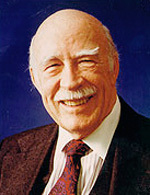 Sanford Randolph built one of the first big cable systems in the U.S. in Clarksburg, West Virginia in 1953 and managed it until his retirement in 1976. He was an early member of the National Cable Television Association, attending its second annual meeting in New York in 1954, and serving as its president in 1960. He was also a founder of the West Virginia Cable Association. Randolph was a graduate of Salem College in West Virginia and, after service in the US Navy during World War II, went to work first in a government job and later for a housing construction company. Albert Ricci was shot down over Germany during WWII and spent 14 months in a prisoner of war camp where he did laundry for the other prisoners, earning IOUs he converted after the war into $2,000. He used the money to open a record store and in the late 1940s began to sell TV sets. Like many other TV salesmen in rural areas, he had trouble selling sets because most people in Keene, NH could not get a signal. So when he read an article about cable TV in Time magazine he went to Pennsylvania to visit cable TV equipment maker Jerrold Electronics. From there he built one of the largest systems in country in Keene in 1953. He developed the character “Abel Cable” as a marketing gimmick. Abel Cable later became the symbol for the cable industry. Gene Schneider’s first exposure to cable television came in Casper, Wyoming in late 1952 through Bill Daniels. Daniels had become acquainted with some oil men there, one of whom was an uncle of Schneider’s named Earl Lyle, who mentioned to Daniels that he had a couple of nephews in Houston who had just sold a business there and suggested they get involved. Gene and his brother, Richard helped launch Daniels system in Casper and he later became the CEO of United Cable Television. A fascination with ham radios must have seemed like a benign interest for a boy of 10 or 12 years growing up in Cleveland, Ohio in the 1920s. For Milton Jerrold Shapp, that hobby formed the foundation of a lifelong pursuit that placed him squarely in the ranks of cable TV pioneers. During the 1950s and 1960s, Jerrold Electronics dominated the cable industry, producing the first equipment designed specifically for community antenna systems and partnering with scores of operators in launching new systems. From a basement workshop and an investment of $500, Shapp would build a career that also included vendor financing of cable systems and, one of his specialties, politicking. He would later become governor of Pennsylvania. Smith played a pivotal role in outlining cable’s legal framework and, as the National Cable Television Association’s first general counsel, helped lead the way in getting them written into law. Smith served as a staff attorney for the FCC’s Common Carrier Division. When the agency began getting reports of community antenna systems popping up to deliver clearer TV to rural communities and small towns in Pennsylvania, Oregon, Arkansas and West Virginia, Smith found himself assigned to investigate. There he became convinced that cable television would be important in the future and left the FCC to open a private practice where many of his clients were cable television system operators. Stevenson built one of the first cable systems in the US in Arkansas in 1951 (in Fayetteville) and was deeply involved in the industry, including the founding of the NCTA, the Southern Cable Association and the Arkansas Cable TV Association. 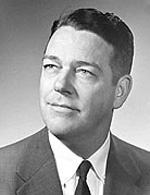 He served as NCTA chairman in 1963-1964. He headed the team that negotiated with the National Association of Broadcasters on cable regulation legislation during the 1960s. Stevenson also contributed articles to CATV Weekly. Robert Tarlton owned a business repairing radios, which he built into a retail shop and then branched out into cable television. Tarlton organized with other television-set dealers, forming Panther Valley Television. Panther Valley Television built an antenna in nearby Summit Hill that would be capable of running a signal to Lansford. Tarlton modified a Jerrold Electronics amplifier and once Jerrold Electronics heard of this development, he was offered a position to assist in the developing other cable systems. 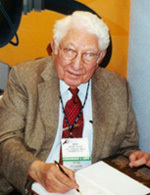 Tarlton continued as president of Panther Valley Television and became a founding member and director of the National Community Antenna Council in 1951, which later changed its name to the National Cable Television Association. He was also a founding member and elected president of the Pennsylvania Cable Television Association in 1957. 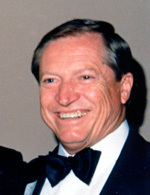 Tarlton received numerous accolades throughout his career for his pivotal role in the development of cable television. Two accomplishments especially stand out: the first being nominated as a charter member of the National Cable Television Pioneers in 1966 and the second being selected as one the first charter members of the Pennsylvania Cable Television Hall of Fame in 1982. 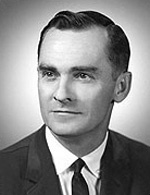 Archer Taylor built one of the first cable systems in the state of Montana and served as chief engineer for that system and several others he constructed in the west in the 1950s. As a cable operator, he was closely involved with the hardware suppliers and was involved with many of the technological breakthroughs that took place in the 1950s and 1960s that enabled cable systems to offer better and more reliable service. 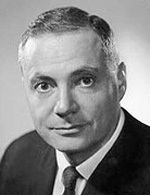 He was also active in the NCTA and took part in the debate over cable regulation legislation in 1960. Taylor also played a central role in the early efforts by cable operators and engineers to develop standards for cable system equipment that would ensure greater reliability and interoperability of systems. 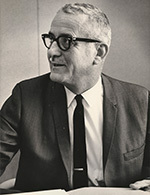 In the early 1960s, Taylor joined with Pennsylvania cable operator Martin Malarkey to form Malarkey Taylor Associates, which was a leading consulting company. Frank Thompson retired as a major in the U.S. Marine Corps. His war-time service and devotion to the Corps helped him get a cable television contract for the 29 Palms California Marine Base. A franchisee in the water softening business, Thompson got a call one night that would change his life – from William “Bill” Smith, an associate of Paul Schmidt. The next thing Thompson knew, he was helping build a 500-foot antennae. He built the first cable system in Minnesota and went on to build additional systems in California. He was founder of the Minnesota Associations and active in NCTA. Edward Whitney became friends with Bill Daniels, who helped him become the executive director of NCTA, taking over from Stratford Smith. A highlight in his career was travelling to Austin, Texas to fix the cable system there for President Johnson. He later would become national salesman for Ameco and then president of Entron, both cable manufacturers.